Wow. I was prowling around the internet tonight looking for a car or two to write about when I found this Craigslist ad. Cool. A Hess & Eisenhardt Jaguar XJS. A very interesting car. I opened the ad and much to my amazement, the seller is referring people to a post I wrote awhile back about a different H&E Jag. Cool (again). This appears to be a very nice Hess & Eisenhardt Jaguar. The seller says it needs a bit of TLC to be a show car, but would be great as a daily driver. 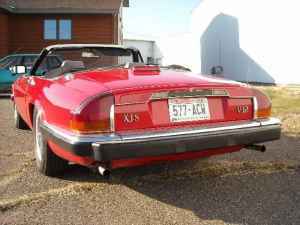 The seller writes, "This car is on its way to becoming extremely collectible as the XJS's are coming into their age". Often when you see lines like that they're pure BS sales pitches, but in this case I agree with the seller. 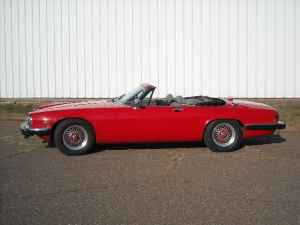 XJSs have always lived in the shadow (the very big shadow) of the car it replaced in the Jaguar line-up, the E-Type. People are just now starting to realize what these cars are. They're not an E-Type sports car, but a very, very nice luxury grand tourer. 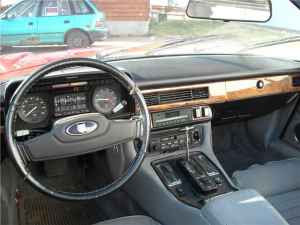 A very, very nice luxury grand tourer with a V12 engine. Yes, older V12 Jags can be finicky, but with a little patience and maintenance, you're rewarded with a car that combines (as the old Jaguar slogan said) grace, space and pace like few other cars from the 1970s and 1980s did. You can find my original Hess & Eisenhardt post here. Located in Bloomer, WI, click here to see the Craigslist ad for this car.